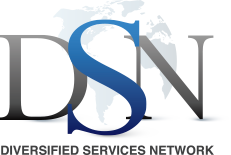 System Integration & App Development - Diversified Services Network, Inc. System Integration & App Development - Diversified Services Network, Inc. The High-Level Expertise You Need. Since 1989, our team has been providing systems integration and application development services for our world-class clients, including Fortune 500 companies and state/federal governments. We will work with you to define the best design and to deploy solutions that fit your unique needs and provide a competitive advantage. We ensure you benefit from in-depth technical solutions and scalable applications that align with your business objectives and deliver the results that exceed your expectations. As a member in the project management team, I wanted to extend a special thank you to DSN management and employees on our team. You guys have always worked exceptionally hard without any complaint whatsoever and put forward great code. Moving forward, hopefully our schedule will be a bit more ‘normal.’ Thanks again for all the long hours and patience!